When Miller and Kiffin wrote Coyote’s Pantry, few folks stateside knew what harissa was. The Moroccan chile condiment is much more popular today and readily available at finer grocery stores. This version is a creative take on the original. Let the chiles soak in a bowl of warm water until softened, about 15 minutes. In a small skillet, combine the cumin, canela, coriander, allspice, and caraway seeds. Toast for about 2 minutes over medium heat until fragrant. Transfer to a spice mill and grind together. Alternatively, grind with a mortar and pestle. Transfer spice mixture to a blender. 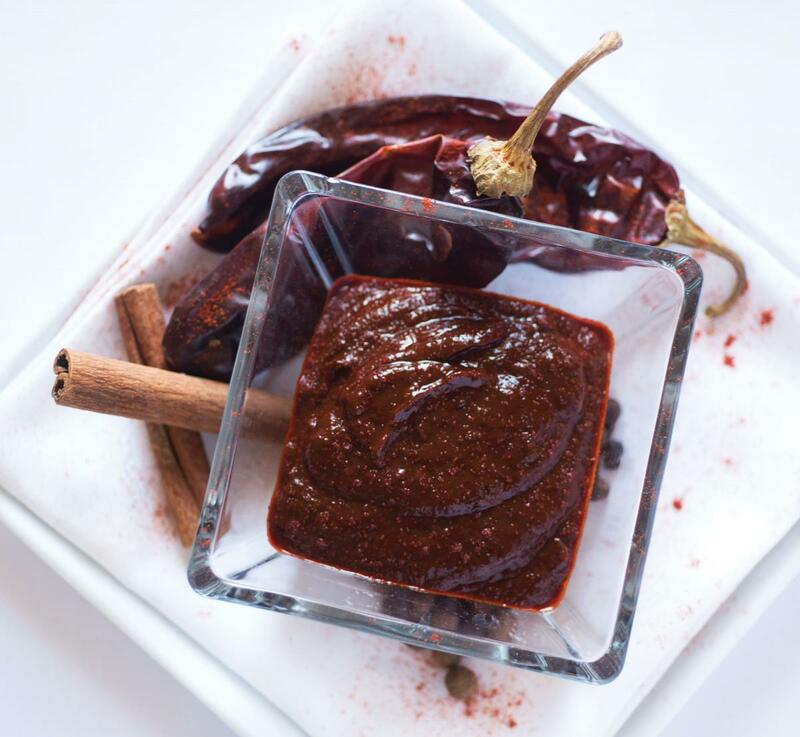 Drain chiles and add them to blender along with garlic, oil, and salt. Puree, adding just enough water to form a thick paste. Scrape out and use immediately with rice or posole, or on a sandwich or eggs, or refrigerate, covered, for up to several weeks.